There has been plenty of buzz online about Roger Federer’s new racquet that is being released soon. 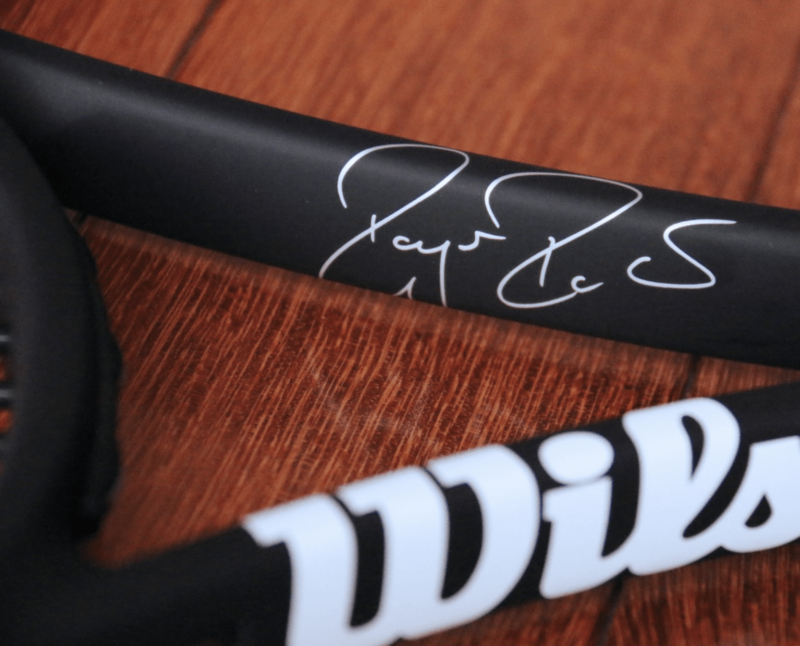 It will be the third generation paint job of the Wilson Pro Staff RF97 Autograph that Federer himself helped to design. Roger Federer’s new racquet is therefore not really a new racquet, but a different paint job to an already bestselling model. It started out as Red and Black, went all black with the current edition and apparently the next version will be black with white sides at 3 and 9. This is kind of the heritage design for Wilson racquet so in a way it makes sense, but a key question is – is this release necessary? (The pics come from Twitter account Love Roger Federer Live). I hope to see Roger Federer’s new racquet up close when I travel to Stuttgart for the Mercedes Cup next week, but for now all I have is this quite poor quality practice video from Instagram poster Humberto Machado (who also got to take a selfie with the Fed). But despite the poor quality you can see that Federer is indeed playing with a paint job similar to the picture above from Letour tennis. 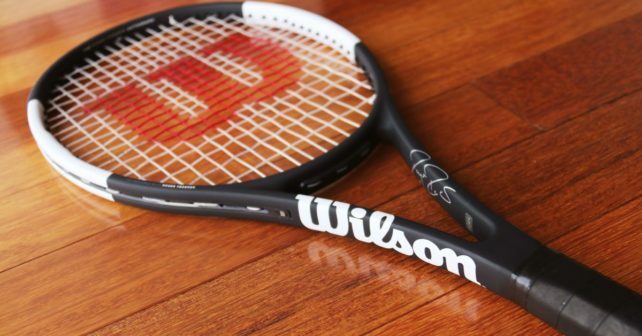 It will be great to have Federer back on tour for the grass court season, and it will be interesting to hear the reaction on the new paint job of the Wilson Pro Staff RF97 Autograph (read my review here) . My personal opinion is that it is such a small cosmetic change (and not an improvement) that I think it would have been far more interesting to see an all-white racquet with gold sides, or something a bit “over the top”. Another idea would have been for Wilson to run a voting competition on their website or Instagram account which would have let fans choose what paint job Federer will play with for the rest of 2018 (and 2019). At least that would have been an interesting way to drive engagement among the tennis community. New paint job for RF97A? Has his new racquet helped Federer become number one again? What do you think of the new paint job? And do you think this is at all necessary? Please comment below! Nice, thx. BTW what brand of clothing is it? I stopped wondering what racquet the pros use after demoing the RF97A – my hands were hurting after using it for a few minutes. Pro racquets aren’t really relevant to recreational players like me, they are too demanding to be of any use for my game. They change the flex of the racquet a little. To me it looks like blade 98. IT doesn’t have the “camel pimples” on 9 and 3 o’clock. Sorry this time Dimitrov black/gold paint job for his pro staff 93 look a lot better. That was just an illustration of the paint job – will update with real pics now that they are released. I hope they keep the weight but drop the RA to make it more comfortable. Yes, I heard they lowered the RA by 0.3, that’s it. Others are merely change in paint job (please make all white with silver at 3&9 next time,without the velvet paint).